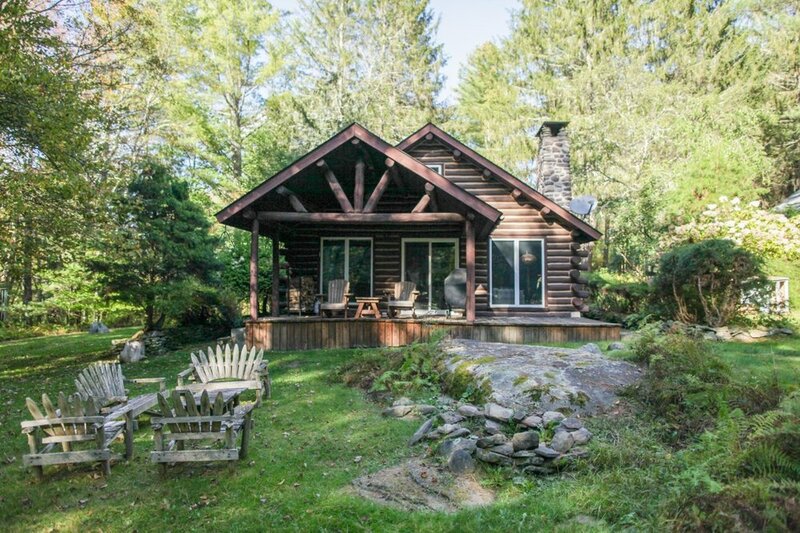 Reason to rent: Cabin's stone fireplace and romantic vibe in a picturesque, rural town. 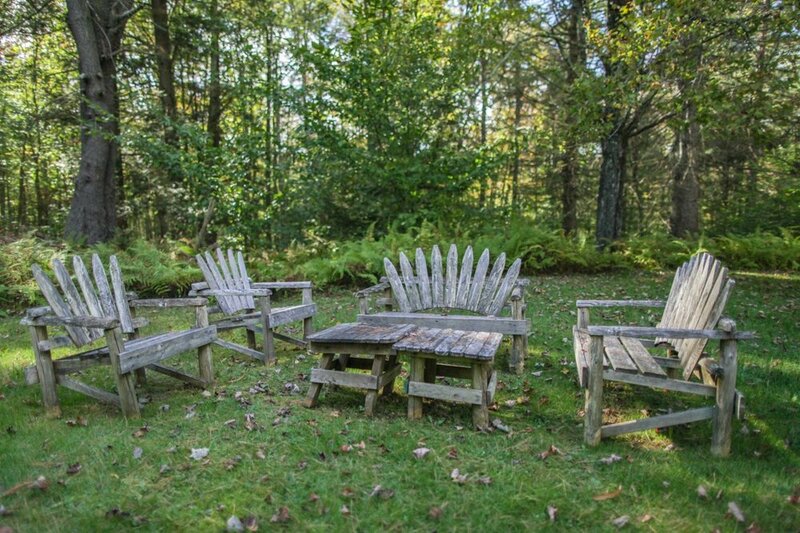 Amongst the ferns and forest of the Catskill Mountains sits this charming log cabin, which has been lovingly renovated over more than a dozen years. 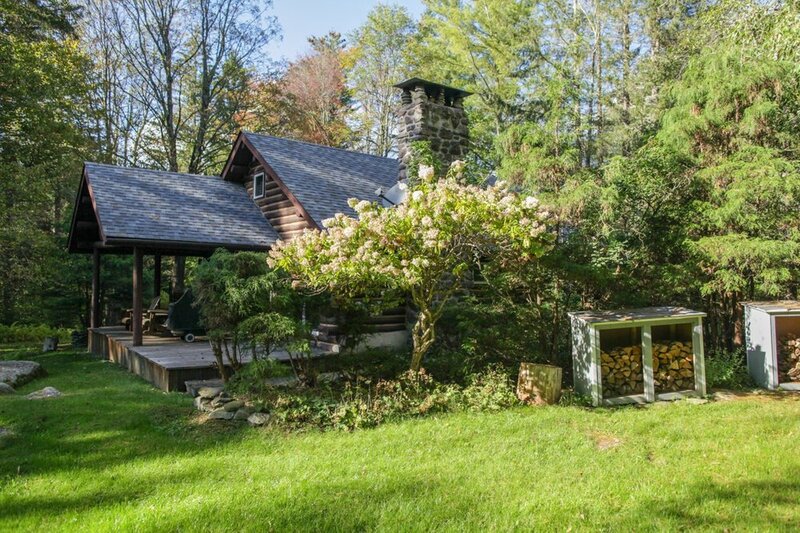 Beyond the lush lawn behind the house is nearly 23 acres of forest, which borders the headwaters of the Neversink River. 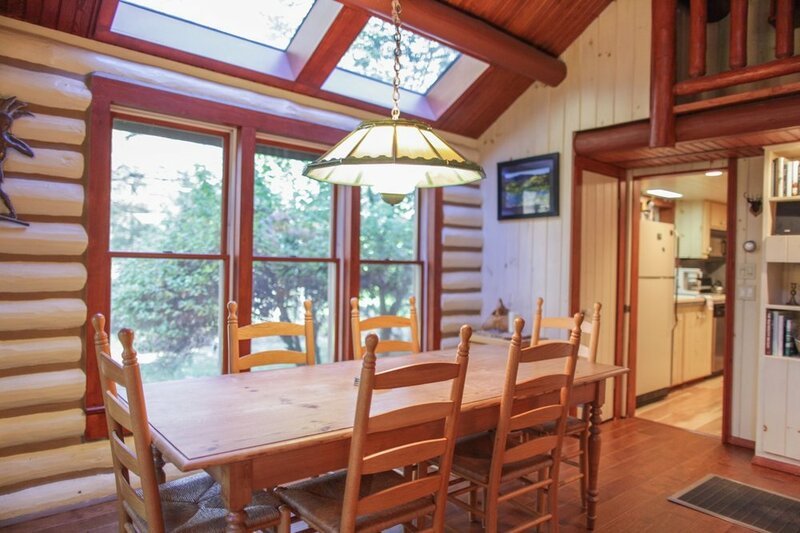 Remove yourself from the hustle and bustle of the city with this classic mountain retreat. 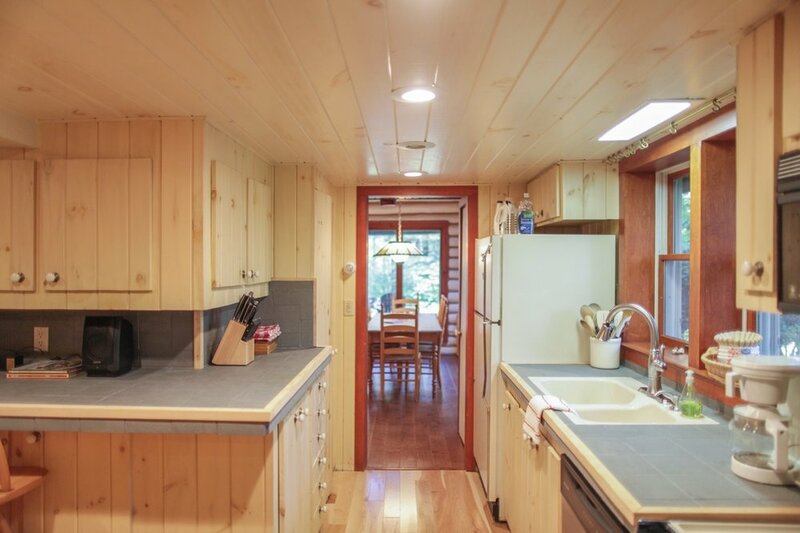 The comfortable interior includes two bedrooms (one upstairs and one on main floor) with queen size beds, and one roomy full bath, with double sink and a tub/shower. The cathedral ceilinged living room, which has a wonderful river rock fireplace, has ample windows, providing views of lawn, tasteful landscaping and stonework executed by the previous owner/artist. Younger guests will appreciate the fun swing set with slide and other climbing features, while everyone will likely find themselves hanging out on the deep, covered back porch in warmer temps. The stone fire pit is just out back, so bring your s'mores fixin's! The hammock is a great spot to grab a nap, and there is a small stereo unit with indoor/outdoor speakers. Exploring the forest is an endless adventure, with an excursion down the fairly steep hill to the babbling waters of the Neversink River below. 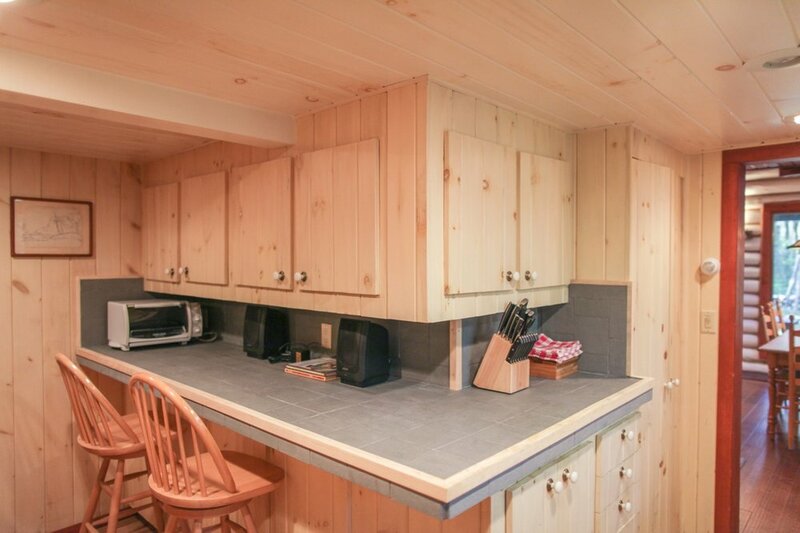 There is a world of hiking opportunities both on the property and in the general area. And did we mention the local swimming hole less than 5 miles away?